Jubilation in Obowo as a Notorious Armed Robbery Kingpin from Nnachioma Umuariam Obowo, Izuchukwu Chibundu Lawrence popularly known as "POLICE" nabbed by joint effort of gallant Obowo & Ahiazu Mbaise DPOs and their men. In his confession, he admitted to be among the gang that killed Nmagha Ndi-Eze, all the robberies in Obowo and the shooting at Agab pharmacy in Afor Ogbe. Furthermore,one of the members of the gang by name Marvellous a native of Ehume who resides at his maternal home Nnachioma Umuariam Obowo was burnt to ashes by angry youths of Mbaise for kidnapping & robbery. 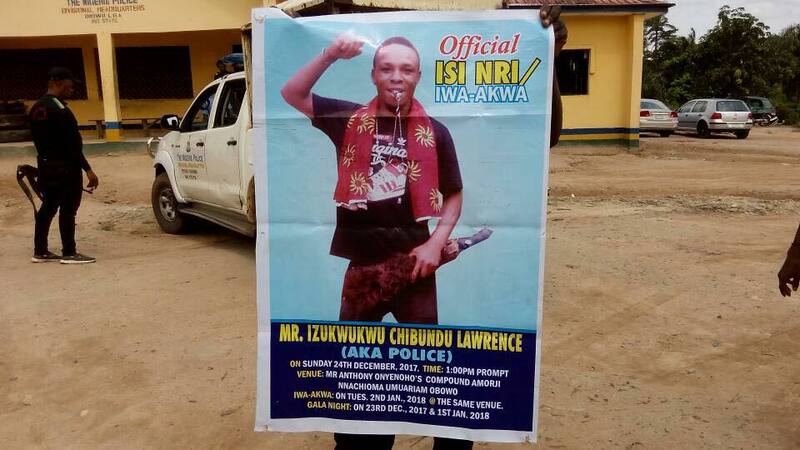 You recalled that Izuchukwu Chibundu has been on the run after some of his men were arrested by Police in connection of Nmagha Ndi-Eze Obowo's death.